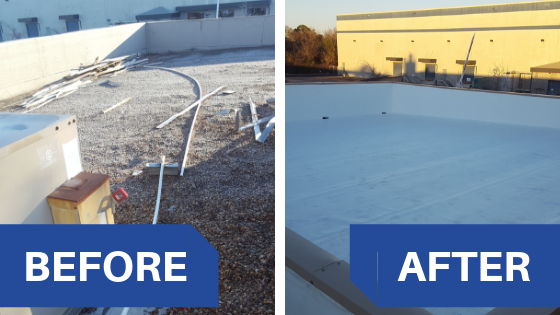 Overview: A Houston Based petroleum refinery reached out to us to repair their existing TPO Roof that another company had initially tried to replace. 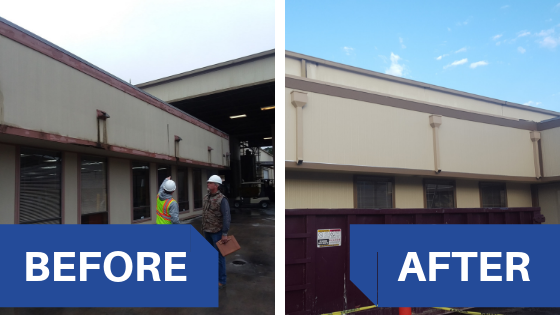 We also fully replaced two other sections of their offices which had Tar and Gravel Roofing material. 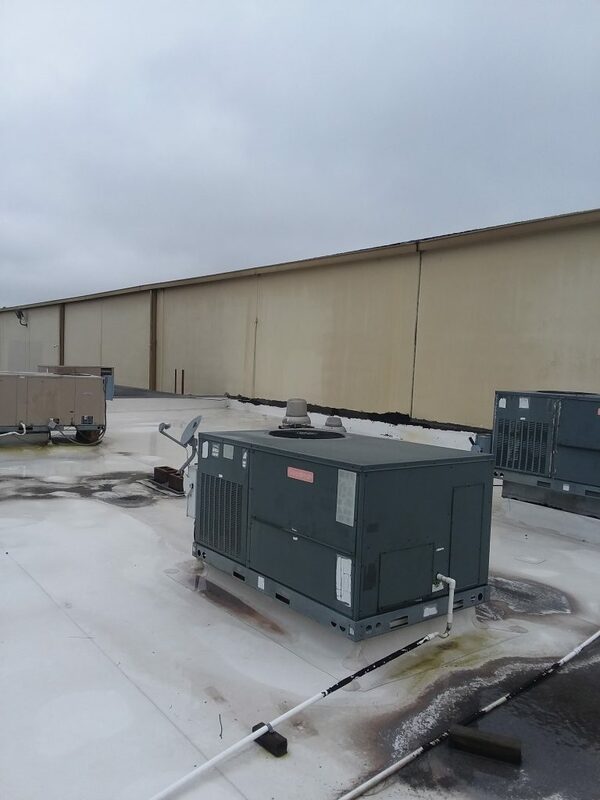 Their Scuppers were also in disrepair and draining water onto the side of the building causing mold buildup. Catch Basins and Downspouts were also added to divert the water away from the side of the building to prevent future buildup. We began the project by clearing the gravel off the roof. 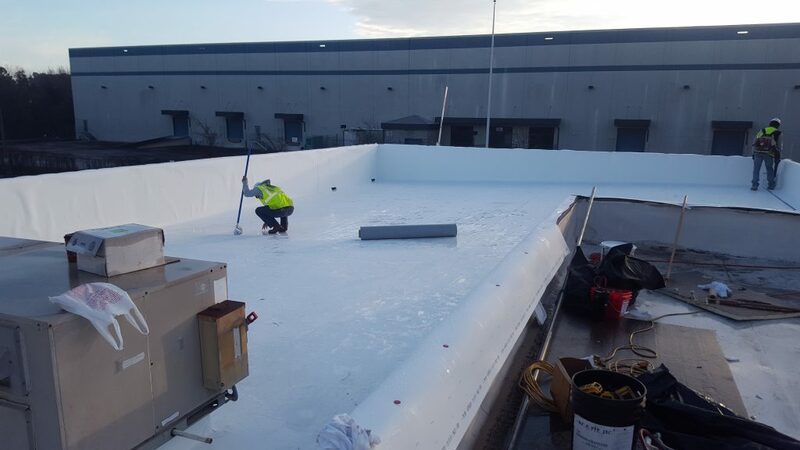 Once the roof was clear of gravel, the crew began to lay down insulation. 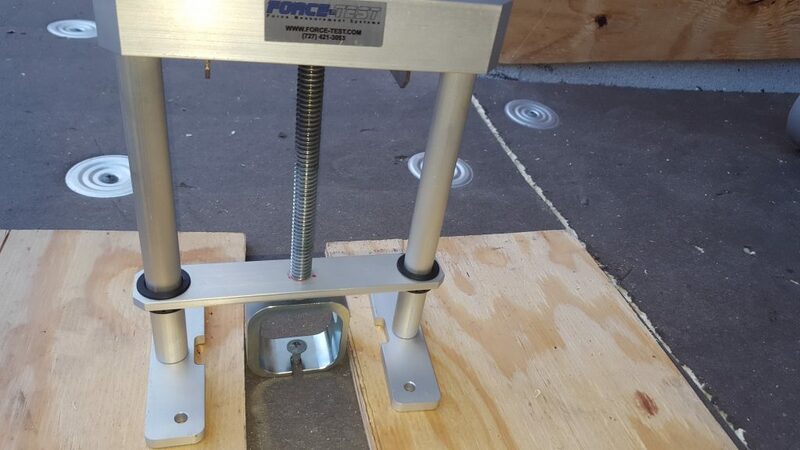 When you lay insulation board to the decking, it is then required to test the force that can potentially pull the insulation board from the decking. 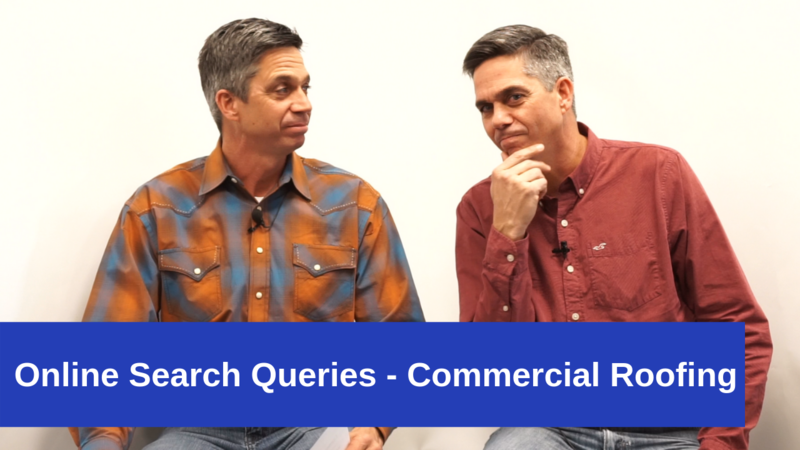 To do this we use a device called a Pull Tester. The machine pulls on a screw to test the strength and determine how many screws it would take to properly secure the boards to the roof. 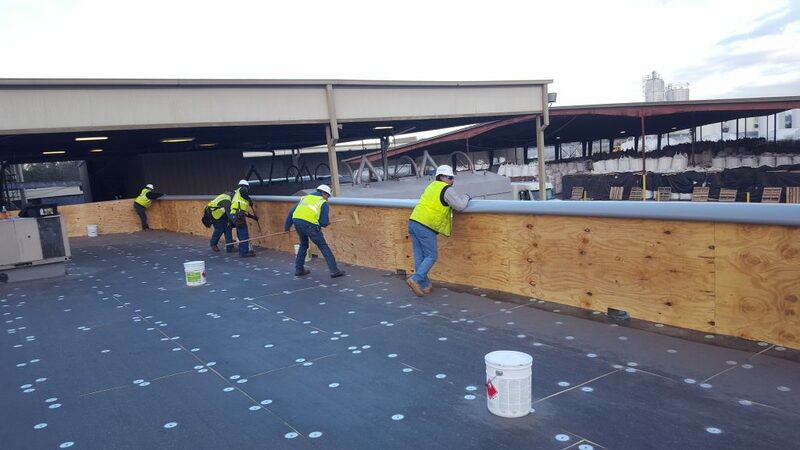 We also attached Plywood along the sides of the roof to give the TPO Something to adhere to. 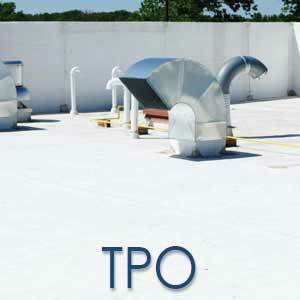 This particular roof material is a Fully Adhered TPO Roof. 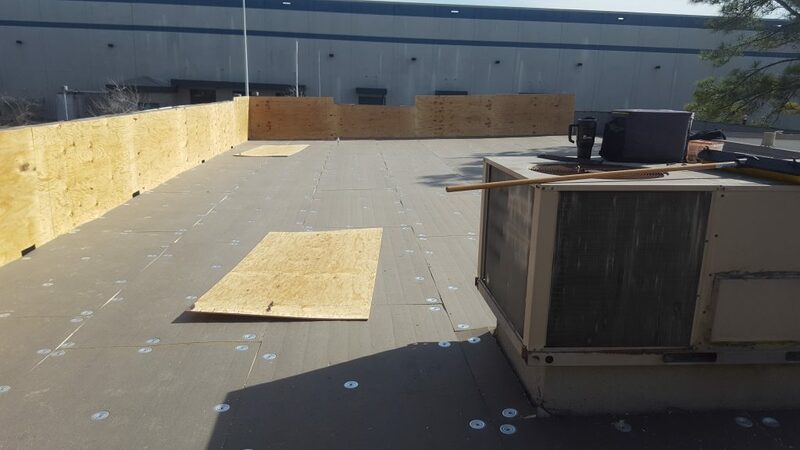 Typically The TPO is simply laid on top of the existing roof and can bellow, but a fully adhered roof is glued directly to the insulation boards and plywood. 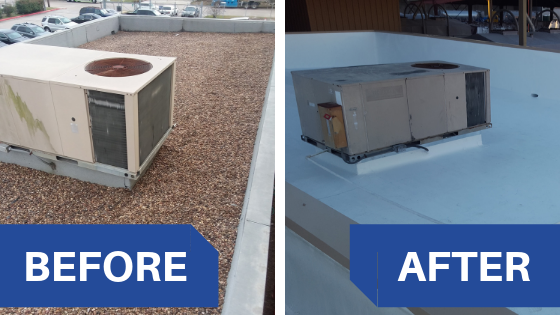 This extends the life of your roofing material, and will not let wind or other elements between the material and the roof. 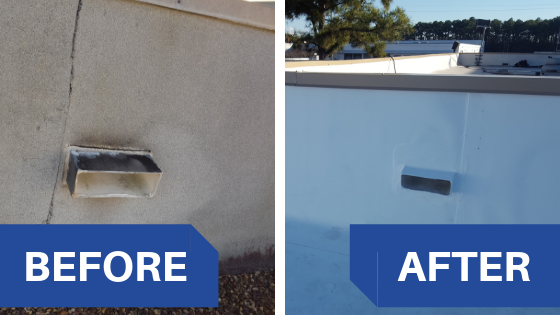 Many flat roofs have holes along the sides, called Scuppers, which allow rainwater to drain off the roof. 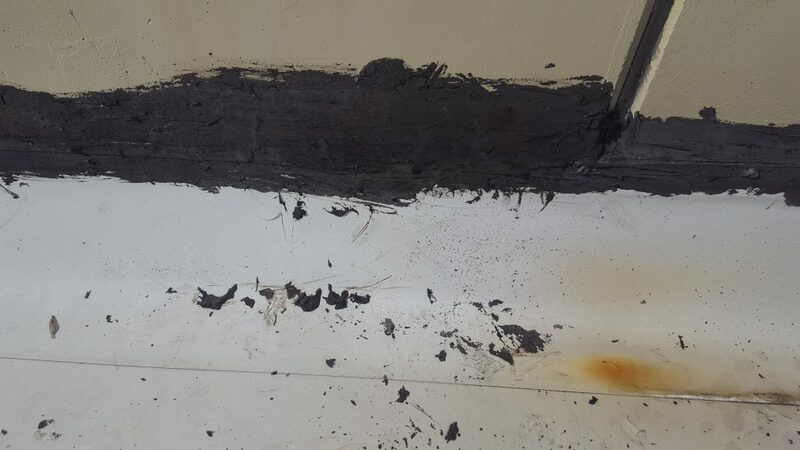 The existing Scuppers were rotten and creating mold growth along the sides of the building. 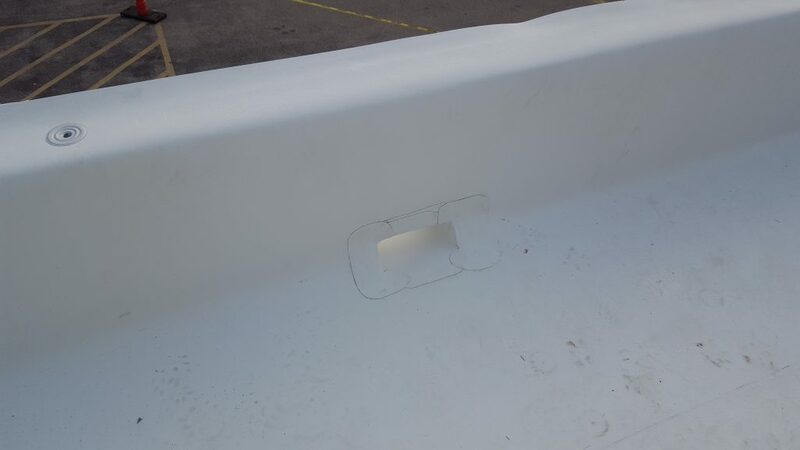 We gave each scupper a proper seal and installed new catch basins and downspouts. 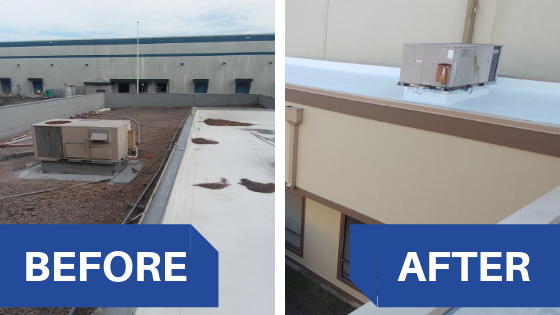 This solution diverts rainwater away from the building and prevents future buildup. Another company replaced the center section of this office, however, they did not attach a Termination bar. 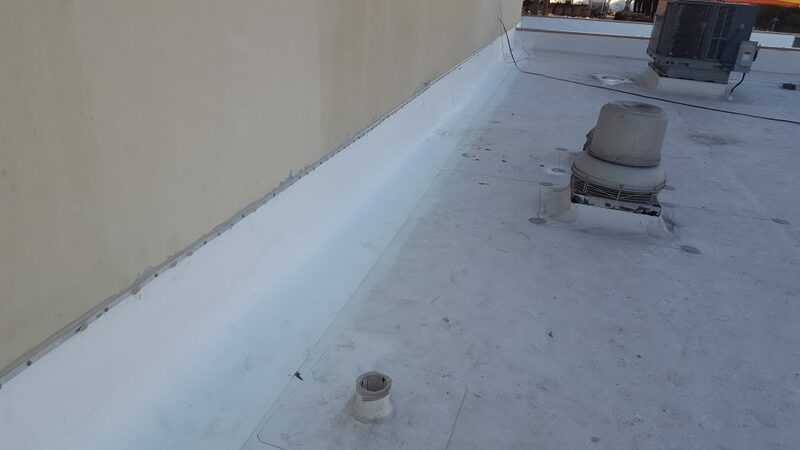 The roofer simply caulked the TPO Material to the side of the building, which was wearing out and allowing rain and weather beneath the TPO Surface. 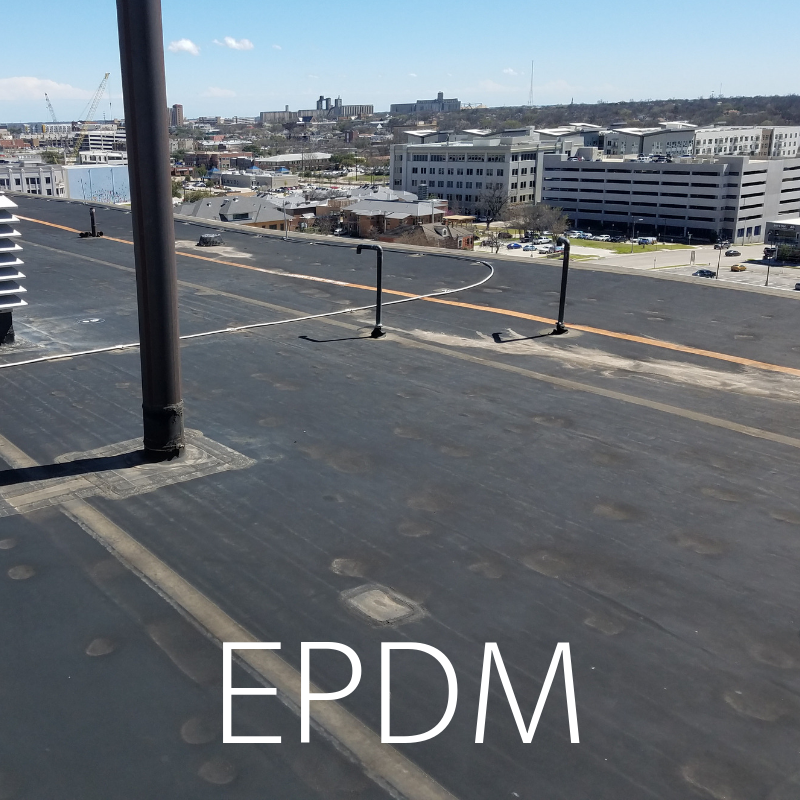 Our crew installed a Termination Bar giving the TPO a proper seal.